Barye first sculpted this fine model of a Stag calling in 1829. 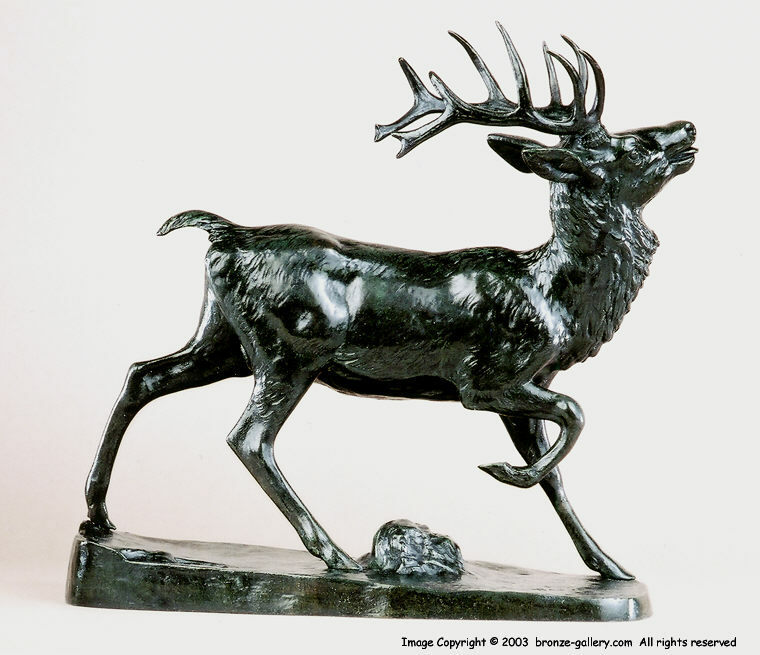 It is one of the few Barye models which seems to be edited exclusively by Susse Freres foundry who cast it in several different sizes. 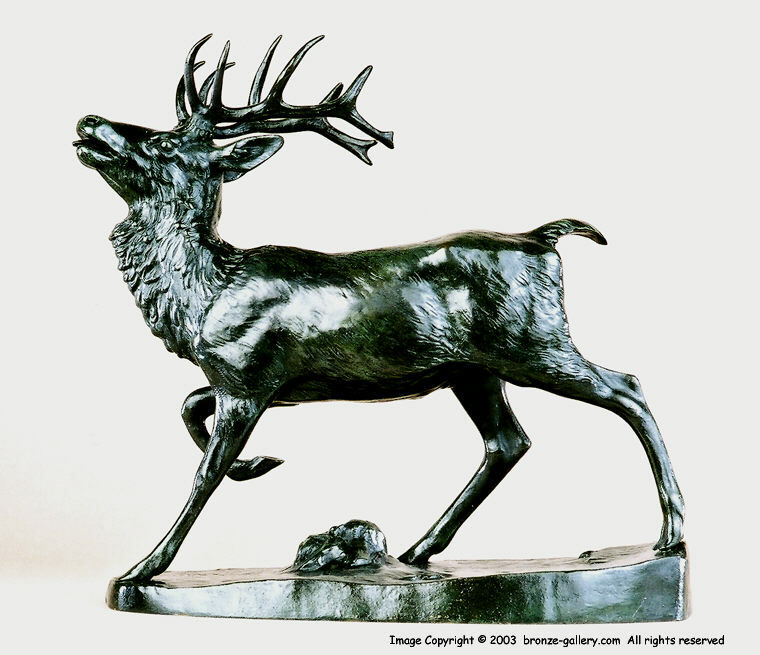 The proud Stag had his head up calling as he walks giving the sculpture a good sense of movement. The bronze has excellent detail and is finished in the rich dark green and black patina which the Susse foundry is well known for.